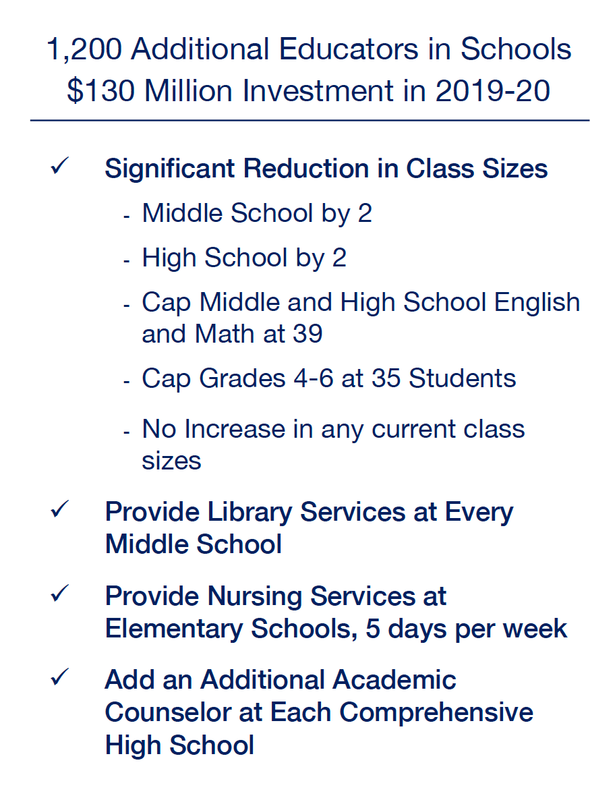 The new offer LAUSD put forward Friday was in response to additional funding in Newsom’s budget proposal unveiled Thursday, as well as an additional $10 million the county is providing to beef up nursing and mental health services at schools. It would allow LAUSD to add a nurse five days a week at every elementary school. Most schools only have a nurse one day a week now. Beutner reiterated his frustration with UTLA’s lack of movement from what he described as $3 billion in demands that haven’t changed in nearly two years, which he said would instantly render the district insolvent. It’s been clear for weeks that there’s nothing LAUSD could possibly offer to prevent a strike. UTLA has amassed an army and fired up its troops for battle, which the union is framing as an historic fight for public education and against its competition from public nonprofit charter schools, most of which are non-union and therefore don’t line UTLA’s coffers. The union has also framed it as a battle against Beutner, whom it has accused of intentionally starving schools of funding. But at the same time, many UTLA members are encouraging parents to keep kids home from school during a strike, which would actually starve schools of funding, given that revenue is based on attendance. UTLA also continues to deny that LAUSD is in financial crisis, except, that is, when the union is scapegoating charters for being the cause of financial problems. That’s all part of UTLA’s strategy to divert attention from the true source of the district’s financial pain, a rise in retiree pension and healthcare costs, which could easily turn young teachers against the union for putting retirees’ needs first. Because the debate appears to be more of a political and rhetorical battle over philosophy and control of the school Board and the superintendent, which the Board hires, there’s no clear way for LAUSD to satisfy the union through the traditional bargaining process. Charter school leaders have largely remained silent amid an all-out rhetorical assault against their schools. But with increasing fears that UTLA members will picket and disrupt charter schools during the strike next week, the new president and CEO of the California Charter Schools Association, Myrna Castrejon, wrote an open letter to Caputo-Pearl asking him to stop pitting traditional district and charter parents, educators and kids against one another with an "us versus them mentality," which she fears is "dangerous." “Alex, if you choose to strike…I ask you to ensure that words, demonstrations and actions are peaceful, civil and set a good example for the kids,” Castrejon wrote. “Please be kind to both our district and charter community."